The Dodgers have defeated the defending World Series Champion Chicago Cubs and will move on to play the winner of the Yankees vs Astros ALCS that resumes tomorrow night. 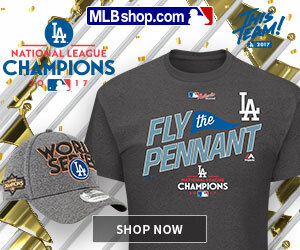 The NLCS Locker Room gear including t-shirts, hats, and hoodies are now available. Click the link below and pick up some new gear today.